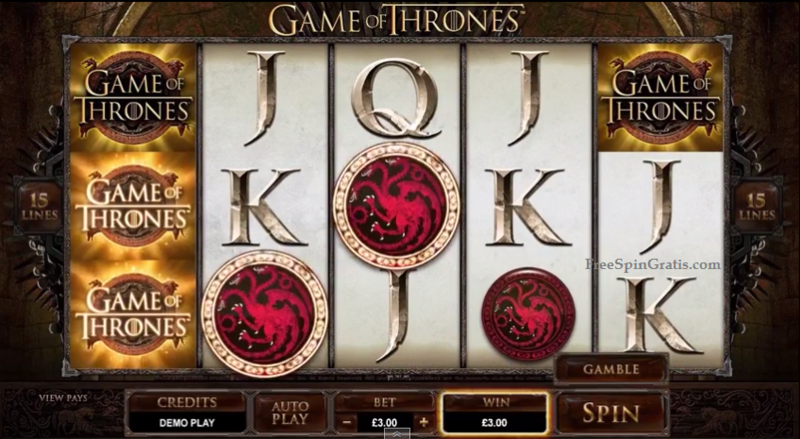 Game Of Thrones Pokie Review - Play for Free Right Here! Game of Thrones is one of Microgaming’s biggest, most recent titles based on a red hot franchise. It is, of course, themed on the popular fantasy television show of the same name, and it licensed, too. Game of Thrones is a twin slot, in that there are two versions you can play. You can opt for the 243 ways to win game, or play a smaller 15-payline game if you wish. Aside from wagers and prizes, both slots are essentially the same game. When you opt to play the 243 ways to win title, you will find that coin values range from 0.01 to 0.02, and players can stake between 1 and 10 of them per spin. Your wagers are going to vary from 0.30 up to 6.00 per spin. You won’t be able to wager on them individually in either slot. 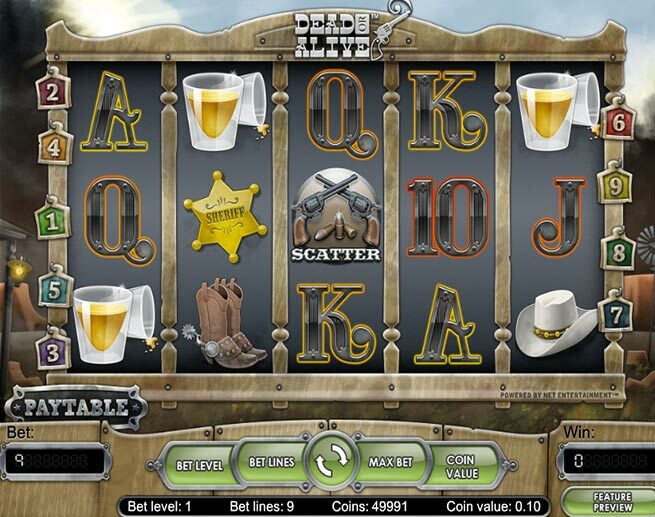 In the 15-line slot, coin values range from 0.01 up to 0.10, and you can stake up to 10 per line.Minimum and maximum stakes in this game stem from 0.15 per spin, up to 15.00 per spin, respectively. Wild symbol: The Game of Thrones logo is the slot’s wild. It appears stacked on the reels in both the base game and in free spins. It can replace all other symbols save for the scatter. Scatter icon: The actual throne itself acts as this slot’s scatter symbol. When it appears twice in any position on the reels, it will offer a random cash prize. 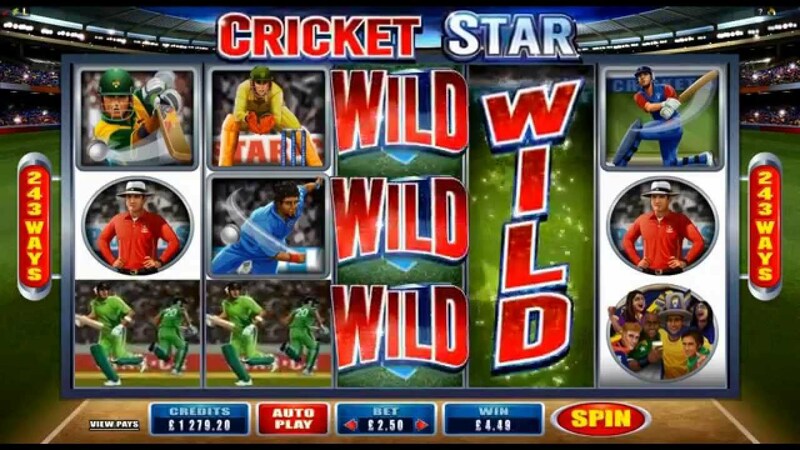 Should it land 3, 4 or 5 times on the reels, the free spins bonus will be triggered. 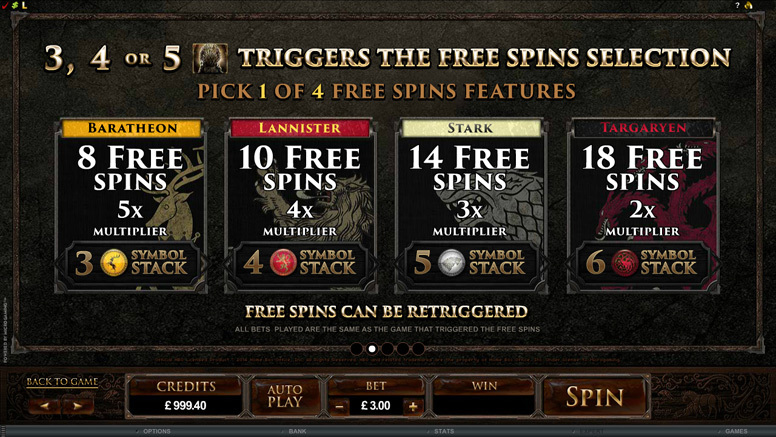 Free spins bonus: There are four free spin features in Game of Thrones. If you pick the House of Baratheon bonus, you’ll get 8 free spins with a 5x multiplier and all Baratheon icons stacked. The House of Lannister bonus offers 10 free games, with a 4x multiplier and all Lannister shields stacked. The House of Stark bonus offers a total of 14 free games with a 3x multiplier and all Stark icons stacked. Finally, you may choose the House of Targaryen bonus, which offers you 18 free games, a 2x multiplier all Targaryen symbols stacked. Gamble Trail: This slot also contains a Gamble Trail feature, allowing players to gamble their winnings with a heads or tails bet. You can travel through 4 map locations doing this, and if you guess correctly, you’ll double your winnings. In the 243 ways to win version of Game of Thrones, players can win up to 1,200 coins by landing 5 scatters in any positions on the reels. Up to 1,210,000 can be won in all via stacked wilds appearing across all reels, though. Over in the 15-line version of this game, the maximum total for stacked wilds is 75,000 coins, but they can win up to 3,000 coins by landing 5 scatters. There are perks to whichever version of this slot you play. 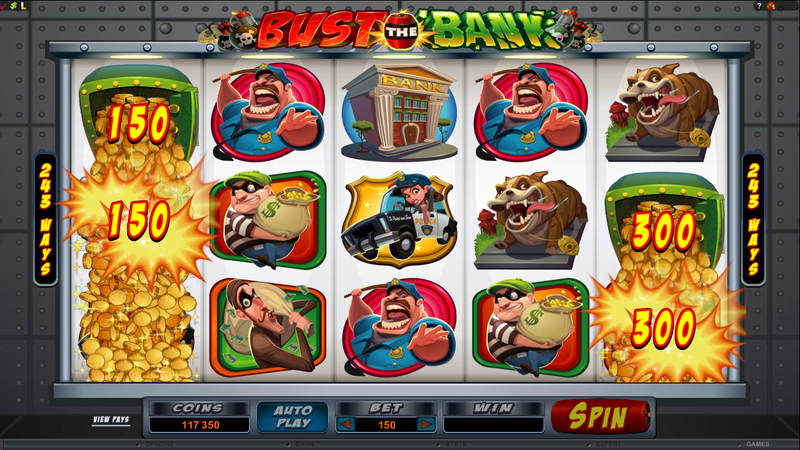 It is creative of Microgaming to provide two formats to this game, making one of their biggest hits available to all sorts of audiences, with all kinds of preferences.